Hey all, wanted some insight before I made the purchase on a dozen Axis arrows. I have a 27.5" draw with 60lbs of DW. Running 26" arrows with a lighted nock (20 gr) in the rear. What spine would I need with a standard insert at 16 grains and which would I need with 50 gr of brass up front? Thanks everyone! In search of 830 spine Easton X10s. I have a 25.5" draw. I tubed one at 18m tonight and am now down to 10 of the 12. The pin nock completely failed and pushed into the carbon and aluminum core. If anyone has some for sale, I would appreciate not having to buy new. Longtime lurker, first time poster, thank you in advance for any help or advice you might have. I don’t have a lot of tuning knowledge, especially when it comes to arrows, and I’m having a problem that just seems weird to me. The strange thing (to me at least) is, paper tuning shows that it likes the FMJ but the Bloodline and 2317 are showing left tears – weak it seems. I’d actually have expected them to be stiffer, or at least fine for a 60 lbs bow? Am I wrong? 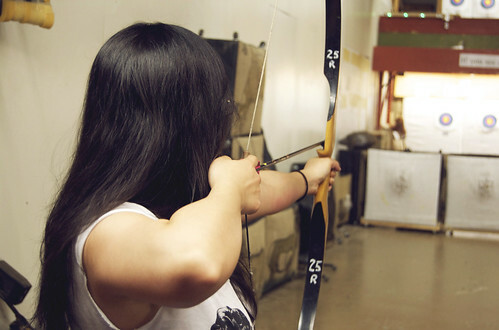 Does increasing tip weight weaken or stiffen arrow spine? My thought is adding weight weakens the spine? My 10 yo daughter is starting to get better and better every time we shoot. Shes shooting my 300 spine shafts now, and its not suitable for her as she has improved. Shes pulling 23lbs with a 21 draw. What spine arrow should I get? I cant seem to find charts that fit her specs.